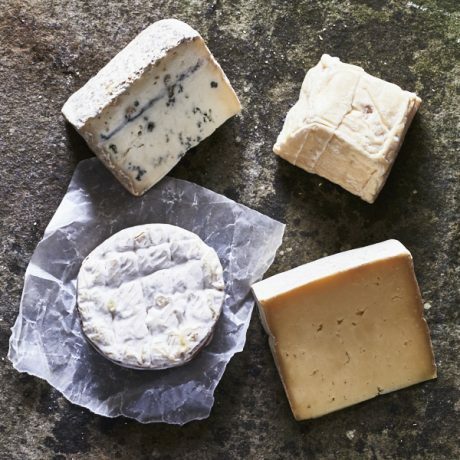 Four of Britain’s newest farmhouse and artisan cheeses. 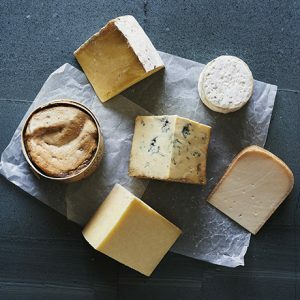 All recent creations by makers new to the artisan cheese industry, they are well-worth a try. Oozing soft goats’, supple Wensleydale-style, butter-rich ‘washed-rind’ and creamy sheep’s blue. Sinodun Hill. Unpasteurised goats’ milk. 200g. 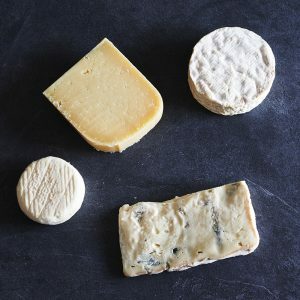 Sinodun Hill is one of Britain’s newest and most exciting goats’ cheeses. Made on the farm using their Anglo Nubian goats’ rich milk, this ‘lactic’ cheese has a mousse-like delicate texture and zippy fresh taste with herbaceous goaty finish. Fellstone. Unpasteurised cows’ milk. 250g. 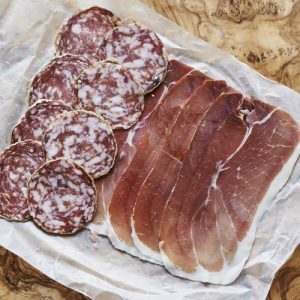 Tom and Clare Noblet started to make cheese in 2015 on their dairy farm on the edge of the Lake District. 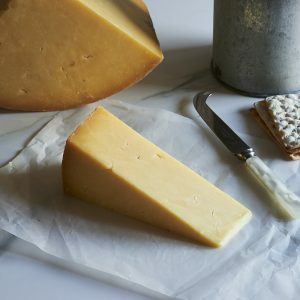 Based on a traditional old ‘Dales’ recipe of the north of England, Fellstone is aged for three months by which time it has the fresh lemony-lactic flavours of a good Wensleydale, with a supple, creamier texture. Rollright. Pasteurised cows’ milk. 250g. A mellow, buttery-rich ‘washed-rind’ cheese that expresses the rich and diverse clover pasture of King Stone Farm deep in the Cotswolds. Based on the classic French cheese ‘Reblochon’. Leeds Blue. Pasteurised sheep’s milk. 250g. Mario Olianas moved to Yorkshire from Italy in 2001. Hailing from a budding family of Italian gourmets and cheese-makers, Mario uses sheep’s milk from Harrogate to create this smooth, rich and creamy Leeds Blue.